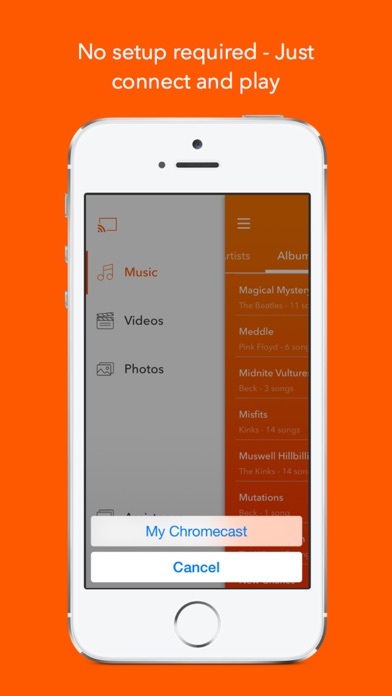 Cinch is the easiest way to stream music, photos, and videos located on your iPhone or iPad to any Chromecast device. • The only Chromecast app that can stream full music playlists from start to finish. No need to constantly go back and change songs! • No setup required - Just load the app, connect to a Chromecast device, and you'll be off playing any of your local media! • Seamless HD Photo and Video streaming! 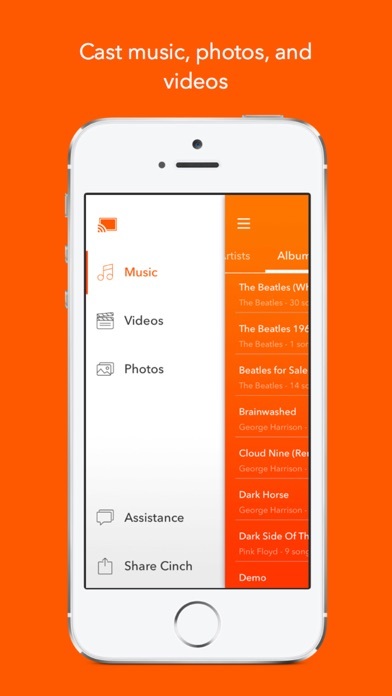 • Shuffle through your entire music library! 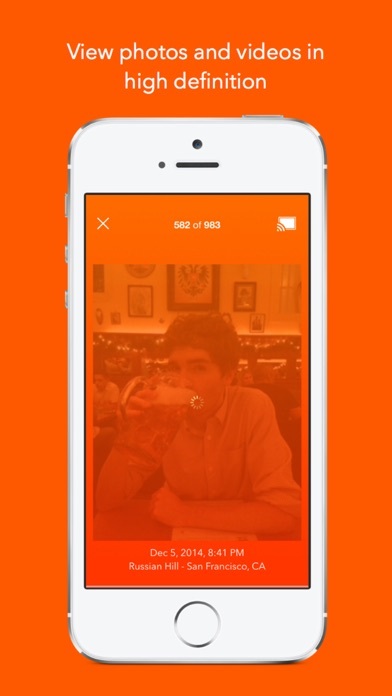 • Easy to use interface puts all of your local media one click away! 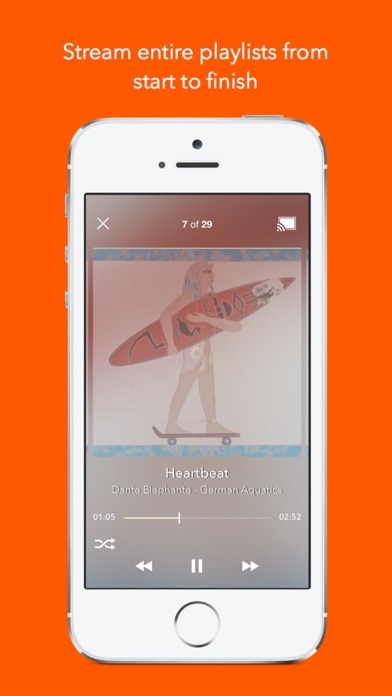 Cinch is the perfect app for streaming music playlists, or just showing off some HD videos and pictures! *Note: Due to iOS restrictions, the Cinch app currently only supports videos and photos located inside the Photos application. It does not support videos purchased from iTunes. Updates to fix playlists malfunctioning on iOS 11.4. Thanks to everyone who notified of the problem!